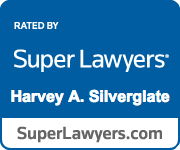 Harvey Silverglate commenced law practice in 1967 and, in 1969, joined with Norman Zalkind to form the pioneering firm of Zalkind & Silverglate, where he practiced until 1973 (although he and Norman continued to try cases together long after Harvey left the partnership). In the years before and since that time, he has practiced with many of the area’s leading lawyers. Harvey concentrates his practice in three areas: criminal defense (trial and appellate), students’ rights and academic freedom, and civil liberties (including First Amendment and reporter’s privilege and news media rights). He has practiced in state and federal courts, civilian and military, and academic and administrative tribunals around the country. 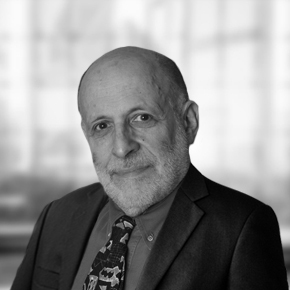 Harvey has written widely on legal matters in his fields, including articles and columns in The Harvard Law Review, Harvard Civil Rights-Civil Liberties Law Review, Cato Supreme Court Review, New York Times, New York Times Book Review, Boston Globe, Philadelphia Inquirer, Boston Herald, Boston Phoenix, Criminal Defense Techniques, Reason Magazine, Massachusetts Lawyers Weekly, National Law Journal, Forbes.com (“Injustice Department”), Wall Street Journal and others. He has co-authored The Shadow University: The Betrayal of Liberty on America’s Campuses (Free Press, 1998; HarperPerennial paperback, 1999) about his experiences representing students and faculty in campus and legal tribunals, and is the author of Three Felonies A Day: How The Feds Target The Innocent (Encounter Books 2009, updated paperback 2011), about the dangers of being prosecuted for innocent conduct under vague federal criminal statutes. He co-founded, and currently chairs, The Foundation for Individual Rights in Education (www.thefire.org), for which he also co-authored student and faculty guides to free speech, due process, and religious liberty on campus. Harvey has been involved in some of the defining and high profile criminal cases of recent decades, and always works assiduously and creatively to protect and defend his clients’ interests. Harvey has taught at the University of Massachusetts/Boston and Harvard Law School. He co-founded the Massachusetts Association of Criminal Defense Lawyers, and was the first Special Litigation Counsel to the Electronic Frontier Foundation. He formed and chaired the Independent Privacy Board of Predictive Networks, Inc., of Cambridge, Massachusetts, and was a long-time Board member, and former President of, the ACLU of Massachusetts.